It is finally here, Sam’s Scores edition 10! Perhaps a milestone, perhaps just getting started, we’ll have to see! Scores have been slim, for a number of reasons, and the fact that thrift stores are closing down left and right doesn’t help, but that is a story for another day. Today, however, I will show you four of my latest finds, which just so happen to be the only finds of any real worth, enjoy! 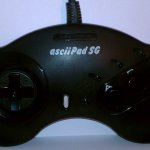 I had seen this controller many years ago while looking through an old video game magazine, and it wasn’t until recently that I even saw one. 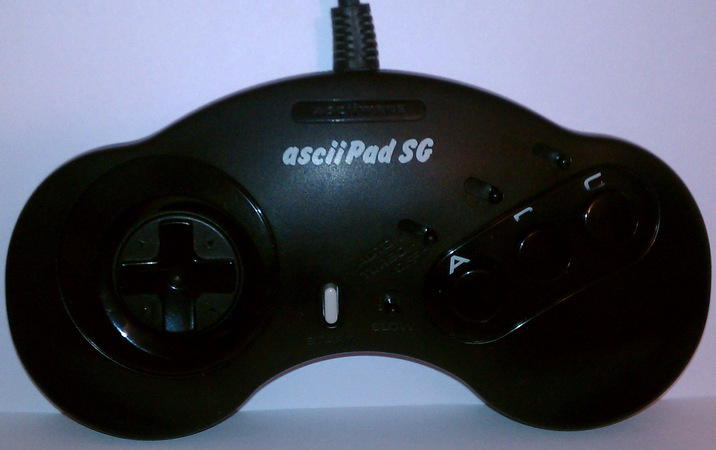 I’m no stranger to picking up strange, innovative and sometimes completely useless controllers, if they’re cheap. It was a little dirty, but I took it apart and thoroughly cleaned it, although I have yet to test it. 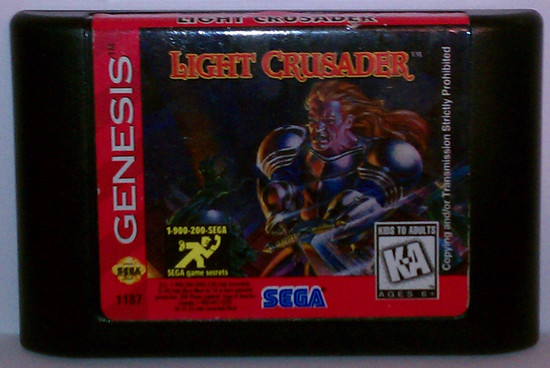 It isn’t everyday that I walk through a flea market and find anything priced where I just can’t pass it up. 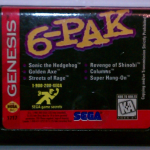 On this day I found a booth that had a box filled with cassette tapes and said how much they were each, sitting in the same box along side were numerous Sega Genesis games. 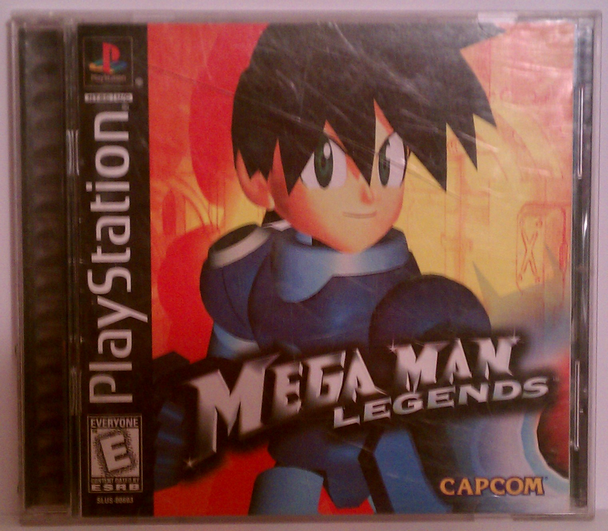 After sifting through the lot I grabbed this one, because it had 6 really good games on it, and it was cheap! 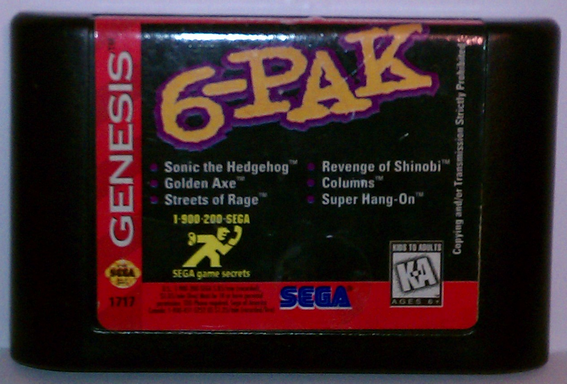 I had read about this game before and for some reason I never bothered to put it on my wanted list. Even though the game is loose I figured for the price I couldn’t pass it up! 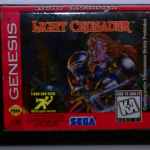 I’ve given this game a try and although it isn’t in what some would consider an RPG style, it is worth a try for those Genesis fans looking for an RPG for the system. Sometimes I should be able to tell that I’m going to run across a certain item, and although I never foresee it, I always put the puzzle together in hindsight. When I happen to take an interest in any given item in a youtube video for no apparent reason, I usually end up finding that item within a week after watching the video. 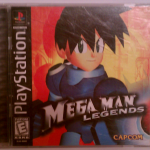 In this case I watched a review on Mega Man Legends on retrowaretv.com, I enjoyed the review and got that warm feeling in my stomach that I wanted to go thrift store hunting after I watched the video, you know at 4am! In reality I was hoping to find the much harder to find sequels, but finding the first one was good too, especially the black label version.